Looking for an Trenchless Service? 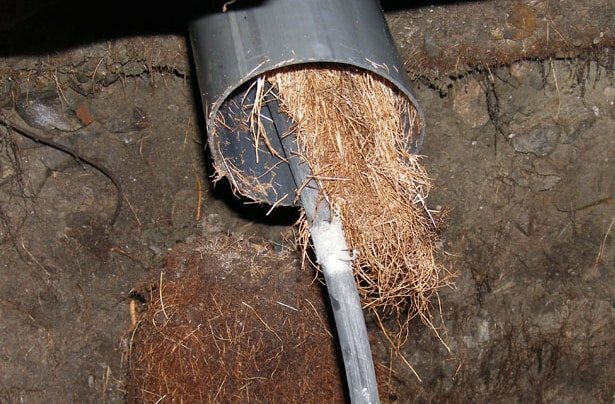 The Rooter Drain Expert can replace your residential and commercial drain pipe with the use of trench-less sewer repair and replacement technology. No major digging required to save your landscape, save your driveway, save time and money. Please see the photos as a reference for how much digging is required when doing a trench-less project. Approx. 90% of the pipe won’t need excavation. An entry and exit point is the only excavation required. Santa Clarita homeowners can save up to 50% Over traditional Methods of Pipe Replacement by using Trenchless Technology! Our quality workmanship has earned us a reputation as the best trench-less contractor in town. We are experts when it comes to drain cleaning, repair and replacement needs. We are always ready to respond and can diagnose your sewer and drain problems with our camera inspections and solve them – quickly and professionally. We specialize in fast, plumbing expert service using the latest technology and products to get the job done right. We are ready to solve your drain problems by using our trench-less technology. Rooter Drain Expert believes in staying on the cutting edge of plumbing technology. We offer trenchless pipe bursting services to our Los Angeles neighbors, the latest in pipe replacement technology that doesn’t require digging up your yard! Call us today at (800) 929-1562 to schedule an appointment for your pipe repair! Traditional processes of sewer maintenance can be quite expensive, especially when the pipes run beneath huge concrete slabs or underneath your driveway. Hiring a reliable trenchless pipe bursting repair service like Rooter Drain Expert, Inc. will help you avoid digging large trenches to repair your sewer lines. Our pipe bursting technology involves using cameras along the sewer passages in order to identify areas that require maintenance. This process can be used for different kinds of sewer repairs. With this method, you can install new sewer pipes without having to dig large trenches. How does trenchless pipe bursting work? Replacing a sewer pipe involves specialized knowledge and hence is best left to a reliable trenchless pipe bursting repair expert. A professional will avoid making large excavations in your front and back yards. Instead, the plumbing service will dig only at the entry and exit points, thus reducing the overall excavation work by over 95%. The trenchless method of sewer pipe maintenance can be categorized into two segments. One, pipe relining and pipe bursting methods. In the pipe relining method, a fiberglass is placed inside the pipe at one end and then pushed along the passage to seal the leak. In the pipe bursting process, a bursting head breaks through the existing pipe and replaces it with a new one simultaneously. The new pipe is fitted to the bursting tool. As the tool bursts its way through the damaged pipe it simultaneously pulls in the new pipe along with it, thereby doing away with the digging of trenches. At the same time, it ensures that repair and replacement happen at the same time without having to disrupt the supply of power, water, and gas. Why use Rooter Drain Expert? Simple: we always provide you with high-quality repair and replacement services so that you save not just on time but also money! We proudly use Tric Tools machinery for our trenchless pipe replacement operations. Having the best tools in the industry allow us to offer you the best service, and that’s why we are the experts. Our team of professional plumbing experts will first check your sewage system for any blockages. In case of a blockage, they will use the pipe bursting method as it is very reliable and also quite effective. The best part is we can undertake pipe bursting repairs any time of the year, irrespective of the weather condition, quite unlike the old method wherein you had to wait for good weather conditions before digging trenches. We can replace your pipe without digging up your yard! Call Rooter Drain Expert at (800) 929-1562 for more details. The photo gallery below shows the contrast between our new Trench-less Technology and the traditional method of installing a pipe. You don’t need to destroy your whole yard to replace a pipe, with the trench-less technology we only need to do an entry point and an exit point, forget about the big mess! The Rooter Drain Expert has the experienced professional plumbers you need to do an outstanding job. Our projects have a 100% on time completion record, our warranty is the best in the industry. If you don’t have your house’s blueprints, do not worry! we have special equipment to locate pipes so only minimal digging will be necessary to install your new pipe system.